This Monday, June 3, the South Florida Theatre League presents Stages of the Sun: Readings by South Florida Playwrights at the Broward Center's intimate Abdo New River Room. 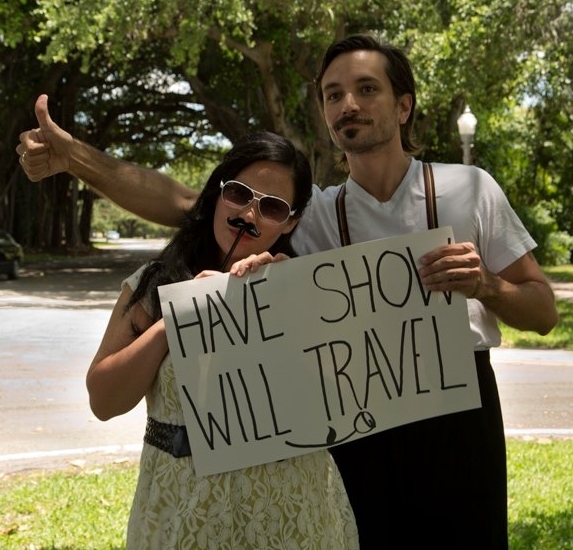 It's part of the Summer Theatre Fest 2013, presented by WLRN and the Theatre League. For Monday's reading, there will be eight different one act plays by member playwrights Mary Damiano, Anne Dichele, Barbara Fox, Marsha Meyers, Catherine Pearson, Michael Rutenberg, Tere Starr, and David Victor. This fast paced evening offers wit and whimsy and some unexpected surprises. The League has built an entry for The Great Coconut Grove Bed Race. The bed will be making appearances across South Florida this summer, giving you opportunity to "Get in Bed with the Arts!" Brighton Beach Memoirs opens at the Broward Stage Door Theater, through June 30. 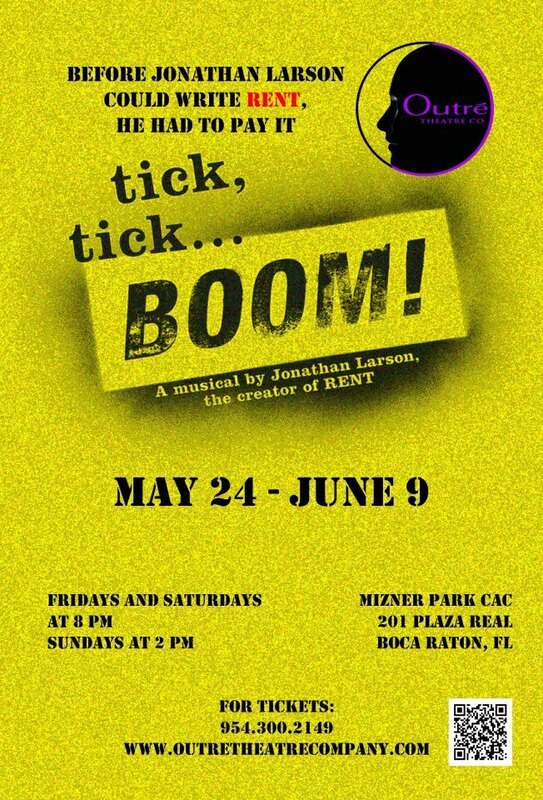 Outré Theatre Company presents its fully realized version of tick... tick... BOOM! at the Mizner Park Cultural Arts Center through June 9, 2013. Thinking Cap Theatre presents WAAFRICA at Empire Stage through June 9, 2013. 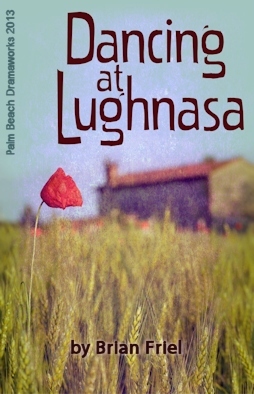 Palm Beach Dramaworks critically acclaimed production of Dancing at Lughnasa plays through June 16, 2013. Apparently, My Son The Waiter was extended through June 30 at the Broward Stage Door Theater. And as fare as we can tell, no one has reviewed it. Anyone see a review? Let us know. 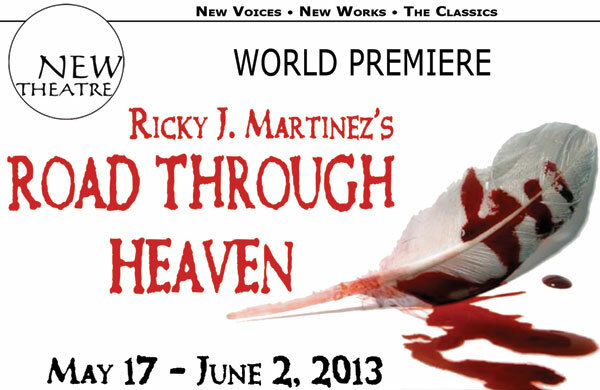 Road Through Heaven winds it up at New Theatre on June 2, 2013. 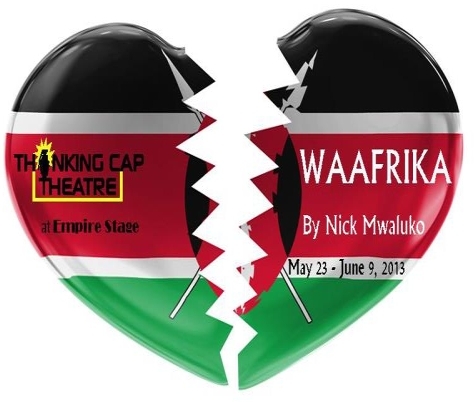 Thinking Cap Theatre opened its production of Nick Mwaluko's WAAFRICA at Empire Stage on May 23, 2013. Set in 1992 in a remote village outside of Nairobi just after the nation's first democratic elections, WAAFRIKA explores the struggle between traditional African values and self-identity. Awino, a young Kenyan woman and a member of the Luo tribe, defies the codes of her community when she falls in love with Bobby, a white, American woman and former peace corps worker. Can their love survive? Nicole Stodard directed a cast that featured Makeba Pace, Kim Ehly, John Archie, Carey Hart, Renee Turner, and Stephon Duncan. Fort Lauderdale’s Thinking Cap Theatre has just opened its bold production of Waafrika, a shattering and shocking play centered on the relationship of a lesbian couple in Kenya in 1992. The winsome Ehly and tormented Pace soldier on through the back-and-forth Mwaluko gives Bobby and Awino. Archie conveys the dignity, worry, affection and anger in the Chief’s relationship with Awino. The affectionate bond the Chief has with Hart’s domineering Mama Mugabe provides a sweet, fleeting respite from the brewing crisis over Awino. Hart, playing a woman who is (to western eyes) the villain of the piece, boldly conveys the unquestioning embrace of brutalizing tradition. The play’s artfully staged final scene, involving all the wives and Awino, is excruciating and unbearable. Thinking Cap, an increasingly significant South Florida theater company, is all about delivering provocative, intellectually and emotionally compelling drama. Though the storytelling in Waafrika is flawed, the story is an important one. Thinking Cap Theatre’s production of Nick Hadikwa Mwaluko’s Waafrika is a deeply earnest and illuminating if imperfect examination of the toxicity of tradition. But even Waafrika’s flaws are washed away by one of the most harrowing finales seen on a local stage. The arc of this tale is a tragedy, and we won’t give away the cringe-inducing denouement, but you’ll likely see it coming. That doesn’t rob it of an iota of its power as staged by director Nicole Stodard. Among (Mwaluko's) gifts is a skill for creating rich, musical speeches for the African characters. He melds a rural vernacular with a lilting poetry that reflects a millennia-old symbiosis with the land beneath their feet. It is so lovely that the American’s speech seems blunt, out of place and even unconvincing, even when he gives her similar lines. The pungency of Awino’s dilemma is rooted in the affecting central performance of Makeba Pace under Stodard’s guidance. Pace exudes the sense being ripped apart like someone being drawn and quartered by wild animals... Pace’s reputation exploded locally with her stunning turn as the agonized wife of the title character in M Ensemble’s King Hedley II last year. Once again, she proves herself as an actress to watch for. Kim Ehly imbues a sincerity and patient understanding into the altruistic American refugee from a privileged background. But Mwaluko has given her the least convincing lines and her scenes don’t always land truthfully. She does create an admirable chemistry with Pace crucial to making their scenes work. This mixed bag of virtues and deficiencies still results in an intriguing evening of theater that speaks directly to the audience’s experience with struggling to be true to themselves in a world that is too slow to change. Part of the Cuban Culture Week in NYC presented by The Cuban Artists Fund; also received readings at Teatro Paraguas, Repertorio Español, and Shotgun Productions. This poetic work questions unconditional love, the nature of self-development, and the willing of dreams into reality. Margaret Ledford directed a cast that featured Evelyn Perez, Javier Cabrera, Ricky J. Martinez, Julissa Calderon, with Enzo Roque and David A. Gonzalez alternating in the role of the child. The script is the second in a trilogy by Martinez, the company’s artistic director. Though it has virtues and flaws (as so many new plays do), it’s a stronger piece than 2007’s Sin Full Heaven. Since Martinez is appearing in the play as Victor, he has turned over directing duties to Margaret M. Ledford, who stages Road Through Heaven with lyricism, humor and grace. Designer Amanda Sparhawk creates a tidily kept, modest island home for the rich-in-love family, underscoring their relationship with a wooden triangle set into the floor. Perhaps, with some work on the trio at the play’s core, Road Through Heaven could move from the realm of fantasy and deepen into something richer, more complex and more moving. Today's "dark" theater is the Adrienne Arsht Center for the Performing Arts. Despite all the lights for their photo shoot, a theater without an audience is technically "dark." The Arsht Center is the newest of the major south Florida Performing Arts Center in this class; The Kravis Center was first, followed a year later by the Broward Center. The South Miami-Dade Cultural Arts Center is much new, but it's not the same scale. Florida Theater On Stage reminds us that Tuesday is the 11th Annual Cappies Awards the Broward Center for the Performing Arts. Need a Playbill for your school's spring musical? Or a community theater staging another classic comedy? Playbill has a new program to create.. programs. Florida Theater On Stage reports that Ground Up and Rising as re-arisen. The Drama Queen gives us some background on the new play at New Theater. ...Road Through Heaven is part of what Martinez calls In God's Land: An Island Trilogy. It is set on "a forgotten island" in the Caribbean, focusing on three people whose lives become entwined: Jesus (Javier Cabrera), a 21-year-old who was orphaned at the age of 12; Dolores (Evelyn Perez), a tough woman in her late 30s; and Victor (Martinez), a hard worker devoted to his woman and, increasingly, to the younger man. Road Through Heaven opened over the weekend, and plays through June 2. Some of the venues in the third week still haven’t been nailed down, but negotiations are underway with storefronts on South Beach and galleries in Wynwood. Maybe they'll buy a step-van and start a "play truck" trend. Playbill reports that a theater critic grabbed a theater patron's cell phone during a performance and hurled it across the room, resulting in his expulsion from the theater. CNN published reviewer Kevin Williamson's explanation of why he took the woman's cell phone. And frankly, the ushers tossed out the wrong party. We should all pay heed to Mr. Williamson's experience. Florida Theater On Stage links to a podcast of an interview of Alan Jacobson in partnership with Arts Radio Network. This Monday isn't entirely dark; The Plaza Theatre in Manalapan presents Being Alive, the Music of Stephen Sondheim. It features the talents of Wayne LeGette and Mia Matthews. You can catch it tonight, and next week. So without further ado, here's your Monday reading list! Carol Kassie Theatrical Marketing re-posts an article about Avi Hoffman's Still Jewish After All These Years, which is presented by the Boca Raton Theatre Guild at the Willow Theater through this Sunday, May 19.
miamiartizine talks with one of the puppeteers from War Horse. 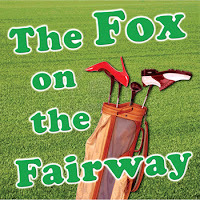 It's playing at the Broward Center, and also ends on May 19. Don't miss it! The Wick Theatre is cleaning out all the stuff that the Caldwell Theatre Company left behind, according to Florida Theater On Stage. The Producer's Perspective wonders where all the dinner theaters have gone. In South Florida, we used to have the Burt Reynolds Dinner Theatre, the Jan McArt Dinner Theatre, and the Musicana Dinner Theater. Now we're down to Laffing Matterz. Except they're dark for the off-season. 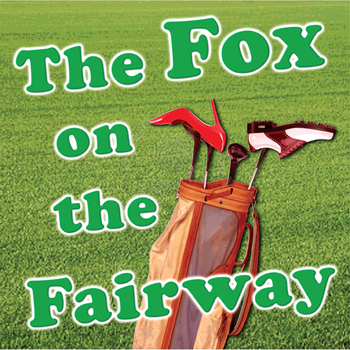 And they're not doing traditional fare, it's a sketch-comedy revue with funny songs. Not that there's anything wrong with that. The Palm Beach Daily News reports that the National Arts Institute should have a lease for the Royal Poinciana Playhouse in a matter of weeks. A couple of different articles about crowdfunding; Mission Paradox reports the ins and outs of crowd funding, while 2AM Theatre can't even get their campaign posted due to bungled red tape. The Houghton Library Blog delves into the history of theater's mainstay source of revenue; the ticket. WLRN visits the Broward Center's Club Level during a recent performance of War Horse. Eric Chirinsky stands at the bar of the Broward Center's new lounge Club Level, drink in hand, watching the Miami Heat battle the Chicago Bulls on a flat-screen TV.... But his wife, Katarina, isn't focused on pro basketball right now. She's sitting alone, enjoying a plate of hors d'oeuvres and a glass of bubbly. "He's watching the game, I'm having my champagne and the children are home, so everybody's happy!" she exclaims. The national tour of War Horse opened at the Broward Center for the Performing Arts on May 7, 2013. Following the original direction by Marianne Elliott and Tom Morris, Bijan Shibani staged a cast that included Michael Wyatt Cox, Angela Reed, Cahd Jennings, Jason Loughlin, Andrew Veenstra, Brian Robert Burns, Jessica Krueger, Rob Laqui, Christopher Mai, Gregory Manley, Patrick Osteen, Jon Riddleberger, Derek Straton, Danny Yoerges, Laurabeth Breya, Catherine Gowl, and Nick LaMedica. The horrors of war are... brought into stark, heartbreaking relief by a play whose simple style allows its true stars — magnificent, life-sized horse “puppets” that become living, breathing beings in a matter of minutes — to shine as they enthrall the imaginative child within anyone who watches them. Nick Stafford’s War Horse script keeps the focus on Albert and Joey, together and separately, and it effectively explores betrayal, loyalty and the cost of war. Its tension-relieving comic moments, however, feel superfluous. What makes War Horse so magical, beyond the key ingredient of the remarkable horses created by Adrian Kohler and Basil Jones of South Africa’s Handspring Puppet Company, is its simple yet powerful style. ...War Horse creates a complex world. Raging battles between the British and Germans in northern France are brought to life with little more than lighting effects, the sounds of gunfire, billowing smoke and a few men (and their horses) moving chaotically. Staged by Bijan Sheibani (the original direction was by Marianne Elliott and Tom Morris), the tour at the Broward Center features a versatile American cast, including actor-singer John Milosich, whose haunting voice at key moments is such a vital part of the show’s musical palette. Among the production’s scattered weaker elements are the way Morf plays Albert — he seems rather slow, not the determined young hero the story needs — and the casting of an obviously adult actress as the “little” French girl Emilie. Theater lovers addicted to Broadway at its most lavish may find War Horse too simple. But folks who go to the theater hoping to get lost in a story and longing to be moved will feel utterly fulfilled by Joey and War Horse. 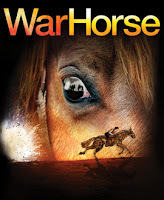 War Horse is cherished by many of us who saw it at Lincoln Center in 2011 as one of the twenty or so most moving and brilliantly executed pieces of total theater we have been privileged to see. There are adjectives that have lost their pungency by their indiscriminate use by the verbally lazy. One is amazing and another is awesome. To have seen War Horse is to be reminded of the strict dictionary definitions. ...audiences continue to be thrilled by the geniuses who designed, built and now endow breath nightly into the larger-than-life puppets that nearly transmute into flesh-and-bone horses. And the creatures are only one element among superbly conceived and blended facets of stagecraft that produce a transporting night of theater. The puppets are delightful, even seen in the sunlight as we did the morning before opening night. But it cannot be overstated that the triumph of War Horse is actually the superb melding of another half-dozen theatrical skill sets: minimalist but evocative settings, morphing lights and a sound design that is alternately subtle and overwhelming, affecting musical underscoring and folk songs performed live, perfect pacing recreated on the road by Bijan Sheibani (a former colleague of Miami’s Tarell Alvin McCraney) and above all, a visual sense of movement and spectacle that fuses into something you cannot experience anywhere else. The acting is not especially stunning although absolutely serviceable, led by Alex Morf as Albert and Andrew May as German cavalry officer Friedrich Muller; bravura performances would probably detract from the illusion. But it must be noted that the thick Devon and German accents made a good deal of the dialogue unintelligible. If the road production of War Horse falls just this side of paradise, to borrow a phrase, it’s still close enough to make the journey. I’ll admit it, I’m a sucker for a sob story. Sappy, soppy, lung squeezing tales get me every time. A boy and his dog, a boy and his bird, wait for it, even a boy and his horse... It’s War Horse! Now with sobs aplenty! Now playing at the Broward Center! And it’s a bloody marvel.. Although the emotional manipulation is rampant, all is forgiven when the miraculous horses appear. Life size puppetry at its best. And the goose ain't bad, either. The designers of War Horse have gone for simplicity; a bare stage...Sketches of the country side, dates, place names, flying mud clods and body parts from endless exploding shells, the flash of machine gun fire; all are superimposed on a suspended screen, that seems a rent in the fabric of life. Tumultuous sound drives the affair. And the lighting, especially in the second act, becomes a flashing black and white opera of violent storms, exploding ammunition and the madness of the World War One cavalry charges. There's a huge cast at work here, behind the scenes, on the stage and inside the horses and all live up to the reputation preceding them. Costumes are wonderful, accents spot on, and immersion is total.